A fund to compensate people wrongfully convicted in Michigan is short on funds. Governor Whitmer prepares for her first State of the State address. Mattawan Schools delays a change in its school calendar. (MPRN) The state Attorney General is working with lawmakers to make sure the wrongfully imprisoned are compensated. A 2016 law says those who are wrongfully convicted and meet certain criteria can be awarded $50,000 per year of imprisonment. But there soon might not be enough money to pay people who are awarded judgments down the road. A spokeswoman for Attorney General Dana Nessel says right now one man is waiting for half a million dollars. And the state could soon have to pay another wrongfully convicted man. Between those two, without more money added, the fund would be almost empty. But the only way to add more money is through the state’s appropriations process in the state Legislature. (MPRN) Governor Gretchen Whitmer will give her first State of the State address Tuesday night. She is expected to address education, clean water and health care. Roads were a major theme of Whitmer’s campaign last year. The governor is likely to save her plans for how to fix the state’s roads for her budget proposal in March. 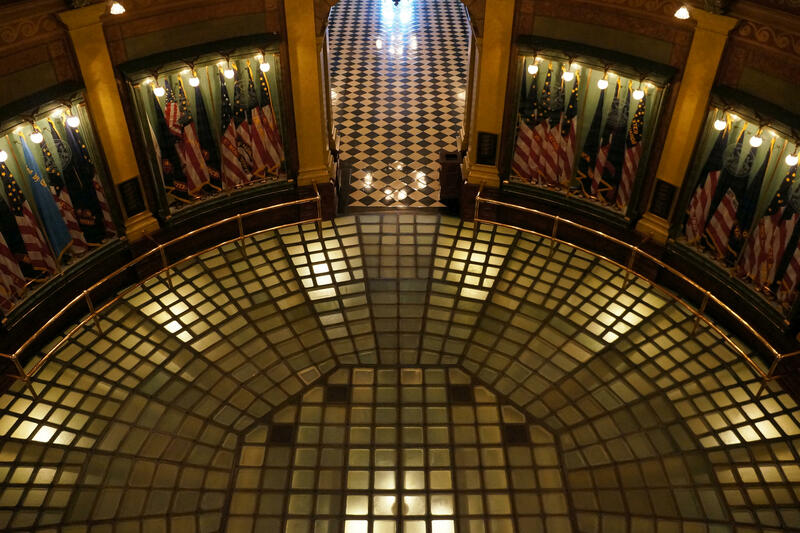 You can hear coverage of the State of the State address from the Michigan Public Radio Network beginning at 7:00p.m. on WMUK. A new report is recommending that Michigan’s future redistricting commission establish explicit guidelines and hire bipartisan or non-partisan staff. The Woodrow Wilson School of Public and International Affairs at Princeton University wrote the report along with the school’s Gerrymandering project. Michigan voters approved an amendment in November that creates a 13 member commission to set boundaries for Congressional and state legislative districts. The report recommends a transparent process. The authors say the commission will face scrutiny. But they say challenges can be met through civic engagement, public education and drawing maps that are effective and understandable. (Kalamazoo Gazette) A plan to change the Mattawan Consolidated School District’s calendar has been delayed for a year. The district was considering starting the school year in August, but the Kalamazoo Gazette reports that officials announced last night that the change has been pushed back one year. Mattawan school officials say they decided to wait on the new calendar after hearing feedback from families. The plan calls for starting the school year two weeks early with one week breaks built into the calendar. (Michigan Radio) Friends and colleagues paid their respects to the late Democratic Congressman John Dingell. The public visitation for the longest serving member of Congress in U.S. history was held Monday in Dearborn. U.S. Representatives Fred Upton and John Lewis along with former Vice President Joe Biden will be among the speakers at a public funeral for Dingell Tuesday in Dearborn. Former President Bill Clinton will speak at a second service for Dingell in Washington D.C. on Thursday.